On November 21, 2014 the State Council published a draft Grain Law soliciting public comments until December 21, 2014. Comments can be sent to lsf@chinalaw.gov.cn. This report contains an unofficial translation of the draft legislation. This is the second iteration of the draft; the first draft was published in February 2012. Date of implementation is yet to be determined. Article 1 This Law is formulated for the purpose of facilitating the production and distribution of grain, enhancing the ability of regulatory control on grain, maintaining the legitimate rights and interests of producers, operators and consumers, and ensuring national food security. Article 2 This Law shall apply to grain production, distribution and consumption within the territory of the People's Republic of China. 'Grain' herein refers to cereals and their finished products, beans and tubers. Article 3 Grain is a special commodity crucial to national economy and people's livelihood. The State shall stick to its food security strategy that is to primarily depend on itself, have a domestic foothold, ensure production capacity, import at an adequate level, and support efforts based on science, adopt an administrative system where grain prices are determined by the market under the State's macroeconomic control and regulation of grain production, distribution and consumption activities, ensure the general self-sufficiency in cereals and absolute security in staple grains, and maintain an overall balance of grain supply and demand at a national level as well as general price stability. Article 4 The State shall establish a food security system that features stable supply, sufficient reserve, powerful regulatory control, highly efficient operation and reliable quality. Article 5Under the macro-management of the State, the chief administrative officer of the people's government at the provincial level shall be accountable for food security within the province. The people's government at the provincial level shall be responsible for grain production, distribution, reserve, and market regulatory control within its jurisdiction. It shall ensure grain market supply, maintain grain market order, and guarantee grain quality and safety. The State shall implement an evaluation and accountability system on food security, with detailed measures to be formulated by the State Council. Article 6The development and reform department of the State Council, in working with other relevant departments, shall be responsible for an overall balance of grain and macro-management at the national level and shall formulate a medium to long-term plan on national food security, a plan on grain production capacity building, and a plan on review and coordination of grain storage as well as the construction of logistic facilities. The agriculture administration department of the State Council shall be responsible for managing the grain production industry at the national level and providing guidance on grain production, technology extension, and prevention and control of diseases and pests in an effort to enhance the grain production level. The state grain administration department shall be responsible for managing the grain distribution industry and central grain reserve, formulating a development plan on grain distribution, and performing specific tasks relating to the macro-management of grain distribution. Other departments of the State Council shall be responsible for food security related tasks within their jurisdiction. The relevant departments of the people's governments above the county level shall be responsible for food security related tasks within their jurisdiction. Article 7 The people's governments at all levels shall gradually increase their investment level on grain production and distribution and support the development of grain production and distribution. Article 8 The State shall establish and perfect a technology innovation system on grain, intensify the research on fundamental, non-profit, and cutting-edge technologies and encourage and support the development and extension of applied technology in a bid to increase the technological level of grain production and distribution. Article 9The State shall advocate and support grain conservation and build a grain-saving society. Article 10 The grain industry groups shall intensify industry self-discipline and services in an effort to facilitate the healthy development of the grain industry. Article 11 The State shall strengthen the integrated planning for grain production capacity building, focus the support efforts on main grain producing regions, improve grain production conditions, build reliable commodity grain production bases, and, in preservation of ecological system, duly and appropriately develop backup producing regions with resource advantages and production potential. The people's governments above the county level shall formulate a grain production plan based on eco-system, water resources, land, and agricultural and climatic resources and conditions. The medium to long-term plan for national food security and grain production layout and construction projects shall go through a validation process with regard to water resources. Article 12The State shall adopt the most stringent system on cultivated land protection and water resources management and establish and perfect the liability system on protection targets for cultivated land and water resources. The People's Governments at all levels shall establish a cultivated land protection and compensation system, implement the principle of prioritized protection of cultivated land, strictly designate permanent grain farmland, and stabilize the current cultivated land area. With the goal of ensuring production capacity, measures such as fertilization based on soil fertility, soil improvement, nutrient balance, and cultivated land restoration shall be taken to protect and increase the quality of cultivated land. The Governments shall intensify the protection and management of water resources, establish a compensatory system for occupation of irrigation-related water resources and facilities, promote water-saving irrigation, develop water-saving agriculture, encourage and support the production of irrigation-free food crops, and improve the ability of ensuring water supply for grain production and water utilization efficiency. The governments shall also take restrictive measures in regions where water and land resources are overloaded, adjust the use of cultivated land in areas where underground water is over exploited, and gradually achieve the recovery of cultivated land. Article 13 The People's Governments at all levels shall make great efforts to move forward the rural land renovation, facilitate regional and standardized technological model with high-yield and high-efficiency in an integrated manner, intensify the construction of agricultural infrastructure such as irrigation and water conservation facilities, renovate medium and low yield fields, build high-standard fields with high and stable yield despite drought or flooding. The high-standard fields shall be designated as grain farmland and be preserved permanently. Article 14 The State shall protect the germ plasm resources, facilitate seed technology innovation, and nurture seed enterprises that integrate seed breeding, reproduction and extension. The State shall encourage and support the research, extension, and use of improved strains of seeds, advanced cultivation technologies, and farm machinery and tools, intensify the training of grain farmers on farming skills and increase the scientific content in grain production. Article 15 The State shall encourage and support the development, production, and use of safe, highly effective, environment-friendly, and economical pesticides, fertilizers, agricultural plastic sheeting as well as advanced, energy-saving and applicable agricultural machinery. Article 16 The State shall strengthen the construction of disaster prevention and relief system for grain production that aims at flood prevention, drought relief, prevention and control of harmful organisms, diseases and pests, and prevention of agricultural meteorological disasters. Article 17 The State shall establish and perfect a support and protection system for grain production in an effort to protect farmers' incentive to grow grain and local government's incentive to strictly implement grain policies and to keep grain acreage stable. Article 18The State shall establish and perfect a subsidy and reward system for grain production and a price support system for key grain varieties. The State shall also gradually establish a target price system for grain and improve the grain pricing mechanism in order to steadily increase farmers' income by growing grain. Article 19The State shall guide and support domestic financial institutions to provide grain producers with financial services such as credit. Article 20 The State shall establish and perfect an insurance system for grain production that provides support to grain production-related insurance. Article 21 The State shall guide and regulate the transfer of contractual right of rural land, support and nurture new grain production entities such as large-scale grain growers, family farms, farmer cooperatives, and leading industrialized agro-enterprises, and facilitate adequate scale operations. Article 22The State shall perfect the system for socialized services in agriculture, take such measures as policy support, preferential tax, and credit support to develop diversified, multi-formed, and fully competitive social services on grain. Article 23 The State shall improve the financial reward system that provides support to major grain production regions and counties (cities) on the development of grain production in order to maintain a certain grain transfer-out rate. The governments of the regions with balanced production and consumption as well as major consumption regions shall formulate support policies to help farmers develop grain production, build a number of staple grain fields with high and stable yield despite drought or flooding, and stabilize and increase their grain self-sufficiency levels. Article 24 The State shall establish and perfect an interest compensation mechanism in major grain production regions that protects the interests of major grain production regions, encourages major consumption regions to establish stable grain production bases in major production regions, and encourages and supports the establishment of stable and cooperative relationship between major grain production regions and major grain consumption regions. Article 25 The State shall nurture and develop a unified, open, and competitive grain market system and prohibit any regional blockade in grain distribution. The government shall establish a unified, standardized, and bidding-based grain transaction system in order to intensify the construction of the market for grain procurement, wholesaling, and retailing, and regulate the development of a grain futures market. 4) Keep a good record of operations, management, and credit without any illegal operation. When processing a grain procurement license, the grain administration department shall inquire about the credit record of the license applicant or require him/her to provide credit reports issued by qualified institutions. Article 27 Operators engaging in grain procurement shall follow the national grain procurement policies and the quality/safety standards and must not hurt the legitimate rights of grain producers and national interests. 3) Equipped with technicians holding a national vocational certificate on grain inspection and storage. The previous provision shall not apply to grain operators that engage in storage activities for self-use or temporary storage for re-sale purposes. Article 29 Operators engaging in grain storage activities shall observe national grain storage standards and technical regulations and ensure the quality and safety of the grain in storage. Article 30 Operators engaging in grain processing activities shall obtain a production license from the food and drug administration departments. 3) Other actions affecting grain safety. 8) Other activities in violation of state regulations. Article 33 Means of transportation and packing materials for grain shall comply with the national standards and technical regulations. It shall be prohibited to use contaminated transportation means or packing materials during grain transportation or packaging. Contaminated grain shall not be sold or processed illegally. Article 34 The people's governments at all levels shall intensify their planning on grain distribution infrastructure, make reasonable placement and perform scientific management on facilities related to grain storage, logistics, and marketing, and guide and support the participation of social capital in the construction of grain distribution infrastructure. The State shall establish a system for protecting the grain distribution infrastructure. The construction and use of grain distribution facilities shall comply with relevant national standards and technical regulations. The grain storages, logistics and market facilities that are built mainly with governmental investment shall not be presumptuously disposed of or changed for other purposes without the approval by the state or provincial grain administration department. Article 35Operators engaging in the activities such as grain procurement, storage, processing, and marketing and grain enterprises for feed or industrial purposes shall establish a standing record on grain operation and report real and complete data and information to local grain administration departments accordingly. Article 36The State shall ensure residents' consumption need for staple grain and adopt social relief measures to guarantee the consumption need for staple grain by impoverished groups and the supply of special-need grain in ethnic minority regions. The State shall also ensure the supply of feed and seed grain. Article 37 The State shall draft a grain consumption guide that popularizes grain consumption knowledge and guides on scientific, reasonable, and healthy consumption in a bid to increase the residents' nutrition level. Article 38 The State shall advocate grain conservation and oppose waste on grain, intensify the publicity, education, and public supervision over grain conservation, and increase the public awareness about treasuring and economizing on grain. Article 39The State shall guide and support grain producers on science-based harvest and storage of grain in a bid to reduce post-harvest losses. Article 40 The State shall formulate and perfect the standards and technical regulations on grain storage, transport, and processing that guide grain operators to reduce grain damages and losses. Article 41 The State shall provide guidance on adequate processing of grain and comprehensive utilization of grain by-products in order to increase the efficiency of grain-processing and resource utilization and properly develop the grain deep-processing that uses corn, wheat and rice as raw materials. Article 42 The State shall encourage and support the research and development of critical technologies on grain conservation and loss-reduction and promote the application of new technologies, skills, and equipment aiming at grain conservation and loss reduction. Article 43 The institutional dining halls and catering service operators shall escalate their education on grain conservation and healthy consumption, suggest and urge consumers not to waste food. Article 44 The State shall implement a system to penalize behaviors of wantonly wasting grain or causing serious losses of grain. Article 45 The State shall establish and perfect the regulatory and inspection/testing systems as well as standards and technical regulations with regard to grain quality and safety. Grain producers and operators shall conduct grain production and operation activities in accordance with laws, regulations, standards, and technical specifications governing grain quality and safety. Article 46 The State shall adopt a grain quality inspection system that regulates such activities as inspection, recording, and certificate issuance and application and that establishes and perfects a traceability system on grain quality. Grain operators shall carry out grain quality inspections which will be recorded in file. In the event that any institutions or individuals find grain contamination, they shall immediately report to the relevant departments at the local government. Article 47Grain producers shall scientifically and rationally use such products as fertilizers, pesticides and agricultural plastic sheeting that comply with national standards and shall recycle used membrane to reduce residues and soil pollution. 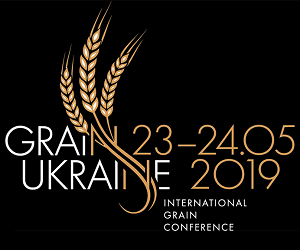 Grain producers are encouraged and supported to improve grain harvest, drying and storage conditions for ensuring the good quality of post-harvest grain. Article 48 It shall be prohibited to release or dump toxic and harmful waste water, waste gas, waste residues, and solid wastes to grain production areas in order to prevent from polluting the cultivated land and water resources for grain. The relevant departments of the People's Governments above county level shall take actions on control of pollutant releases by enterprises and institutions within grain production areas, strengthen the supervision on enterprises producing or using toxic and harmful chemicals, strictly regulate the production and application of toxic and harmful pesticides for the sake of reducing pesticide residues, intensify the monitoring on air and soil quality as well as irrigation water quality in grain production areas, and designate and intensively restore the non-grain production areas where cultivated land and water resources have been severely contaminated. Any institutions or individuals who have made contamination to grain production environment shall take immediate actions on control and restoration. Article 49 The relevant departments of the State Council shall establish and execute a supervision and random inspection system on grain quality and safety within their jurisdiction. Article 50 Local people's governments at all levels shall intensify regional monitoring and control over grain contamination and take immediate actions such as alerts, mandatory inspection, intervening purchase, classified storage, and directed disposal in the event of regional grain contamination. The disposal of contaminated grain shall strictly comply with the relevant national standards and regulations. Article 51 The State shall adopt a unified system on survey and statistics, monitoring alerts, and information release regarding grain production, distribution, consumption, and supply and demand. Article 52 Based on domestic grain supply and demand situation and the need of macro-control, the State shall adjust domestic grain surplus and deficiency through grain import and export and adopt a quota system to manage import and export of major grain varieties. Article 53 The State shall implement a grain risk fund system that rationally determine the use and scope of the grain risk fund based on the nation's financial situation and the need of macro-control. The fund shall be earmarked to specified uses in a bid to support grain production and distribution and stabilize the grain market. Article 54In case of dramatic changes or possible dramatic changes to grain supply and demand relationship, the State shall, along with macro-control policies such as taxation, take such measures as protective purchase and reserve, target sale, reserve throughput, and import and export to regulate and control the scale of grain deep-processing so as to maintain a generally stable grain market. Grain administration departments shall evaluate the security of grain supply and demand and resources utilization status. Article 55 The State shall take such measures as finance, banking, and tax to support grain operators undertaking policy-related grain operation. Policy banks shall ensure the supply of credit fund required in the course of grain production and storage in accordance with relevant state regulations. Financial institutions of commercial nature are encouraged to provide loans to operation such as grain purchase and storage. The operators undertaking policy-oriented grain operation shall strictly follow relevant state policies and regulations. Article 56 The State shall implement a grain reserve system at the central and local government levels. The central grain reserve shall be used mainly to adjust the overall grain supply and demand at the national level in a bid to stabilize the grain market and deal with severe natural disasters or other emergencies. Unless approved by the State Council, no institutions or individuals shall be allowed to use the central grain reserves. The State Council shall issue the regulations on the management of central grain reserve. The grain reserve of local governments shall be used mainly to adjust the grain supply and demand within the region in a bid to stabilize the local grain market and deal with serious natural disasters or other emergencies in the region. The State Council shall determine the scale of local grain reserve and the People's Governments at the provincial level shall determine the specific varieties, layout, and management methods. The regulations of local grain reserves are formulated by local governments. The central and local grain reserve shall be kept at a reasonable level and the function positioning, variety structure, and layout shall be coordinated and supplemented. Article 57The State shall adopt a strict regulatory system on grain reserve and a qualification accreditation system on grain reserve undertaking enterprises. 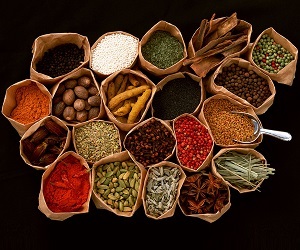 The grain reserve management shall follow the rules of strict system, strict management, and strict responsibility to ensure reserve security, quantity authenticity, and quality wholesomeness and make sure that the reserve is accessible, well-managed, movable, available, and cost and expenses reasonably saved. Article 58 The State shall establish a minimum and maximum stock level system for grain operators. The grain operators engaging in grain procurement, processing, and marketing as well as feed and industrial grain enterprises shall be obliged to maintain a no-less-than minimum stock level in the event of surplus in the grain market and dramatic price declines or to maintain a no-more-than maximum stock level in the event of deficit in the grain market and dramatic price increases. Article 59 The enterprises that are newly established or that are merged or acquired with domestic grain production and operation shall be reviewed in accordance with relevant state regulations if national food security is involved. Article 60 The State shall establish a grain emergency management system featuring consolidated leadership, hierarchical responsibility, and localized management. The People's Governments above county level shall intensify the construction of grain storage facilities, logistics and transportation, emergency processing, and supply network and shall formulate and organize the implementation of grain emergency plans. Article 61 Once a grain emergency plan is activated, relevant institutions and individuals shall follow the grain emergency arrangements and control. Transport enterprises shall prioritize their transportation of grain dedicated to emergency or reserve purposes. The People's Governments above county level shall compensate for institutions or individuals who suffer losses due to undertaking grain emergency arrangements and control. Article 62 The State shall establish a comprehensive coordination mechanism on grain monitoring and inspection. The relevant departments of the People's Governments above county level shall perform monitoring and inspection over grain production and operation within their jurisdiction, establish or authorize relevant agencies to establish a credit record for grain producers, operators, and their executives and senior managers, incorporate the credit record to a unified credit information platform at the national level, and disclose any major illegal and credit-breaking acts to the public. Grain production and operation activities as well as personnel involved shall be subjected to legitimate monitoring and inspection. Article 63 In accordance with relevant laws and regulations, the agriculture administration departments shall perform monitoring and inspection on production and operation activities relating to grain seeds, agricultural materials, and agricultural machinery as well as on the implementation of national policies, standards, technical regulations, and management systems relating to grain production. Article 64In accordance with relevant laws and regulations, the grain administration departments shall conduct monitoring and inspection on activities relating to grain procurement, storage, transportation, and policy-driven grain processing and marketing. They shall also perform monitoring and inspection on the implementation of relevant national policies, standards, technical regulations, and statistics relating to grain distribution. The monitoring and inspection shall also cover quality and safety during grain procurement, storage, transportation, policy-driven grain processing and marketing, and delivery and sale of raw grain from storage. Article 65 In accordance with relevant laws and regulations, the industry and commerce administration departments shall perform monitoring and inspection on grain marketing activities that disturb the market order. Article 66 The commerce, customs, and quality inspection departments shall perform monitoring and inspection on grain import and export activities in accordance with relevant laws and regulations. Article 67 The food and drug administration departments shall perform monitoring and inspection with regard to quality and safety in the course of non-policy grain processing and marketing as well as storage of finished products of grain in accordance with relevant laws and regulations. Article 68 The competent price departments shall perform monitoring and inspection on price violations in the course of grain distribution according to relevant laws and regulations. Article 69 Other departments of the State Council shall perform monitoring and inspection on grain production, distribution and consumption activities under their jurisdiction. Article 70 The State shall establish a grain stock inspection system that entails grain administration departments, along with relevant departments, to conduct inspection on grain stocks. 5) Seal off the places involved in illegal grain operation activities. Article 72 The people's government at a higher level shall supervise the performance of lower level government with regard to the protection of cultivated land and water resources, grain production, storage, supply, quality and safety, and market monitoring and shall include the result in the governmental performance evaluation system. Article 73 Any institutions or individuals shall have the right to report any acts in violation of this law. In this case, relevant departments shall take immediate actions and maintain the informant's confidentiality. Article 74Any violations of this law by changing farmland to non-agriculture use or reversing basic farmland to other purposes without permission or by contaminating grain production environment shall be penalized by departments of agriculture, land resources, environmental protection, and water conservation in accordance with relevant laws and regulations. Article 75 In violation of this law with one of the following acts, the grain administration department shall command a correction, issue warning, confiscate illicit gains, and punish the responsible personnel. In case of serious violations, an additional fine equivalent to one to five times of the grain value involved in the illegal act shall be imposed and grain procurement license or grain reserve qualification shall be revoked. In case of criminal activities, they shall be prosecuted for criminal responsibilities. 7) Refuse to accept legitimate monitoring and inspection. Article 76 In the event of obtaining a grain procurement license, processing permit, or storage qualifications through illegal means such as deception, the grain and the food and drug administration departments shall confiscate illicit gains, revoke their licenses and qualifications. In case of criminal activities, they shall be prosecuted for criminal responsibilities. The operators with their grain purchase license, processing permit, and storage qualifications revoked shall not be allowed to apply for the license again within three years upon punishment decision is made. Article 77 For violations against Articles 27, 28, 29, 33, 35, and paragraph 2 of Article 46, the grain administration department shall command a correction and issue a warning. In case of serious violations, an additional fine of less than RMB 200,000 shall be imposed and the grain procurement license shall be revoked. Article 78For violations against Articles 30, 31, 32, 43, paragraph 2 of Article 45 and paragraph 2 of Article 50, the departments in charge of agriculture, quality supervision, food and drug administration, grain, industry and commerce, and price shall impose penalties accordingly. Article 79 For violation against paragraph 2 of Article 34 of this law, the State or provincial grain administration department shall order an immediate restoration to the original state or purpose. If a restoration is impossible, reconstruction shall be made at a different location in due course and a fine equivalent to the cost of building the original storage facilities and the value of occupied land shall be imposed. In case of criminal activities, they shall be prosecuted for criminal responsibilities. Article 80 In case of violation against this Law, the relevant departments shall impose penalties or take mandatory administrative measures in accordance with relevant laws. Article 81 Government employees taking or asking for bribes, playing favoritism and committing irregularities, breach of duty, fraud or illegal intervening in the normal operation of grain operators shall be punished by law. In case of criminal activities, they shall be prosecuted for criminal responsibilities. Raw grain refers to post-harvest and unprocessed cereals, beans and tubers. Cereal refers to wheat, paddy rice, maize, and coarse grain. Tuber refers to sweet potatoes and potatoes. Finished product of grain refers to processed product from cereal, such as rice and wheat flour. Grain distribution refers to such activities as grain procurement, storage, transport, processing (deep-processing), wholesaling, retailing, and import and export. Grain procurement refers to activities of direct purchasing of grain from grain producers for the purpose of sale, processing (deep-processing), storage, or use as feed or industrial raw materials. Grain processing refers to activities of turning raw grain into finished product of grain and by-products. Grain deep-processing refers to the activities of turning raw or finished product of grain into new products of which chemical properties and molecular structures have been changed. Grain operator refers to a legal person, privately owned industrial or commercial entity, and other economic institution engaging in business activities such as grain procurement, storage, transport, processing (deep-processing), marketing, and import and export. Policy-driven grain refers to grain, including grain reserve, of which the procurement, storage, processing, and marketing are designated or entrusted to specific grain operators by the government with financial or banking support. Grain emergency state refers to drastic fluctuations in grain market such as panic purchasing, shortage of supply, and soaring price in a large area caused by major natural disasters or other reasons. The people's governments above county level herein include the people's government at county level. Article 83 Unless otherwise regulated by a procurement license system, this law shall apply to activities of production, distribution, and consumption of edible vegetable oil and oilseeds. The grain procurement licensing and storage reporting systems shall not apply to tubers.